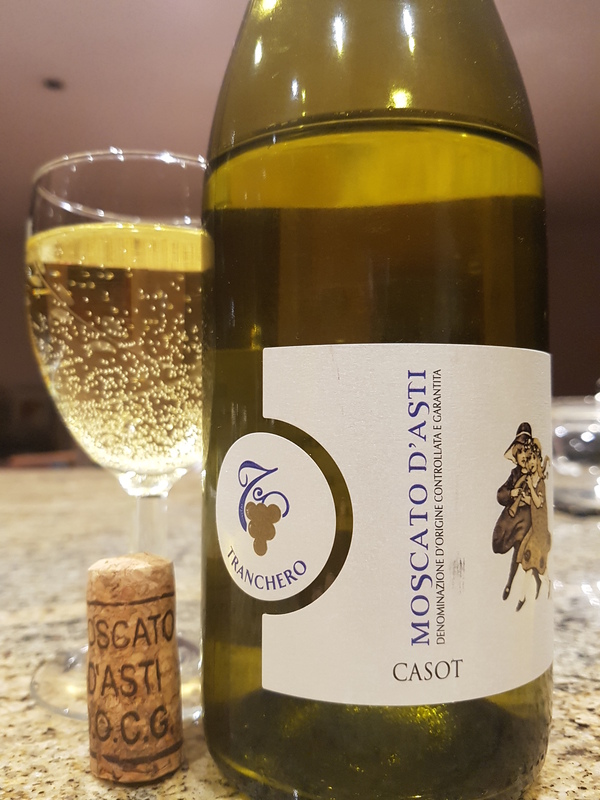 Tranchero Casot Moscato d’Asti (Piedmont, Italy) | Justintoxicated. Visual: (cellared for 7 years, 2010 vintage). DOCG sticker, numbered bottle, foil top with authentic stamped cork. Pours clear light apple juice yellow with suspended large bubbles, nano-bits of sediment. Summary: Tropical fruit city! Big exotic fruitiness with solid depth and body. It’s becomes cloying as it warms, would go nicely with a charcuterie, or with a warm cinnamon dusted apple pie to finish. Solid for its ABV. Tried this wine when I was in Florida. Absolutely delicious but how can I purchase.